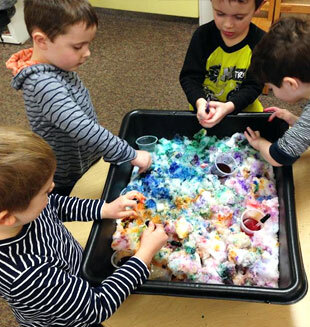 Our mission at Erdman Preschool is to provide an enriching, creative and nurturing educational experience for young children. 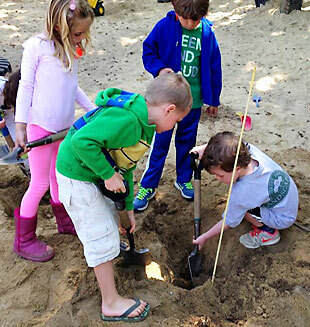 The Erdman Preschool is open to all children 2 years, 9 months through five year old children in Scituate and neighboring communities. We welcome children of varied abilities, needs and backgrounds because we believe children learn so much from each other. Choice time when children decide where they wish to work and play. They may choose a woodworking bench with real tools, a dramatic play area with enticing dress-ups and props, easels, puzzles, manipulative materials, blocks, games, nature study, a quiet area for reading and writing, water, sand table, or other sensory center or an art center. One of the unique qualities of Erdman Preschool is the degree of family involvement in all levels of the school’s operation. Parents and grandparents are welcome to observe their children in the classroom at any time. Volunteering in the classroom, chaperoning field trips, helping with snack and special projects are experiences that benefit both the child and the parent. Our fall Open House is an evening for the entire family to visit the school. It is an opportunity to meet teachers, classmates, families, enjoy refreshments made by each class, try out favorite materials and view children’s work. 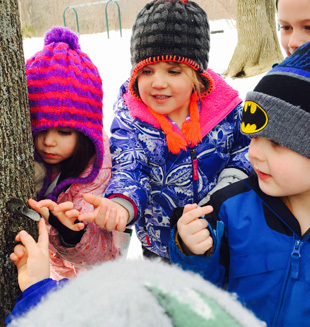 Erdman Preschool was established in 1971 to provide an enriching, creative and nurturing educational experience for young children. It has grown from a school for eight children, begun by Margaret Erdman in her home, to a school serving over 100 families in Scituate and neighboring communities. The school moved to its current location in 1973 and has expanded to include morning and afternoon classes, enrichment and extended day programs for three, four and five year olds. The school is a non-profit organization run by the Board of Directors and does not discriminate in providing services to children or their families on the basis of religion, national origin, cultural heritage, race, gender, political beliefs, sexual orientation, marital status or disability in its admissions or hiring practices.